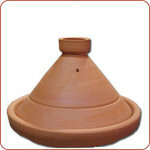 Affordable Authentic Moroccan Cooking Tagines Available HERE! 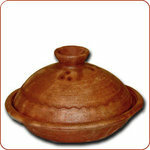 Cook authentic Moroccan dishes they way it was meant to be cooked - with Moroccan Cooking Tagines. Surprise friends and family with delicious tasting traditional Moroccan cuisine specially prepared in an authentic tagine pot. 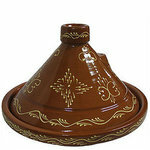 There are many types of cooking tagines such as the Moroccan Slaoui tagine and the Moroccan Beldi. 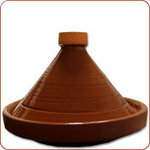 Our Morrocan tagines are FoodSafe. Some are even DishwasherSafe and can be used on a stove as well as in an oven. 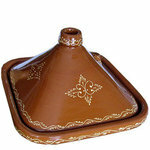 Be sure to check each Moroccan tagines care instructions before using. 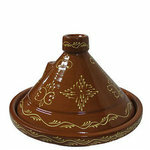 Do browse take some time to browse our selection of Moroccan tagines. 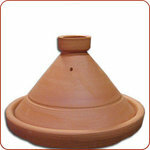 We're sure you'll fine one that's perfect for your Moroccan cooking needs. Most tagine cooking pots have to be seasoned before first use in order to ensure long life and strength and adds a typical tagine flavor to your cooking.